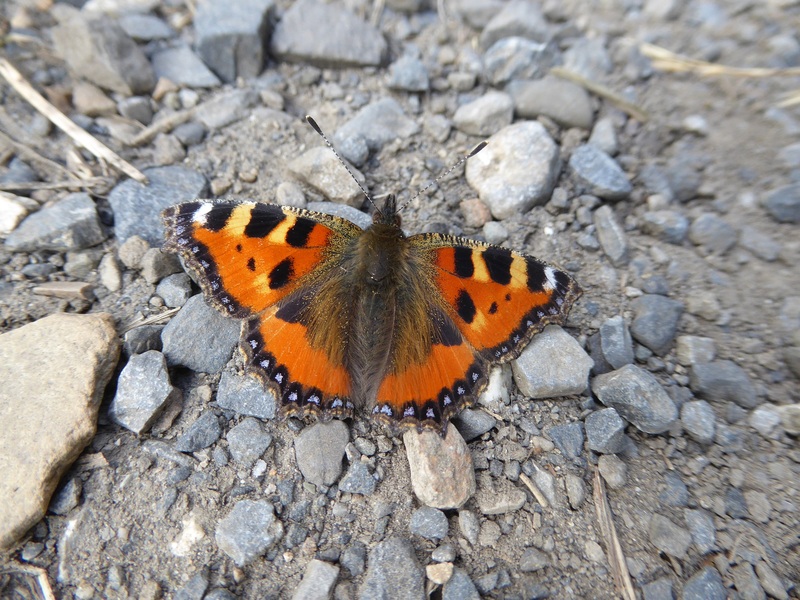 August 2018 has returned to us the more typical Irish summer conditions but the heat earlier in the summer means that there are high numbers of butterflies flying now, which developed quickly in the warm weather that prevailed during the immature life stages. 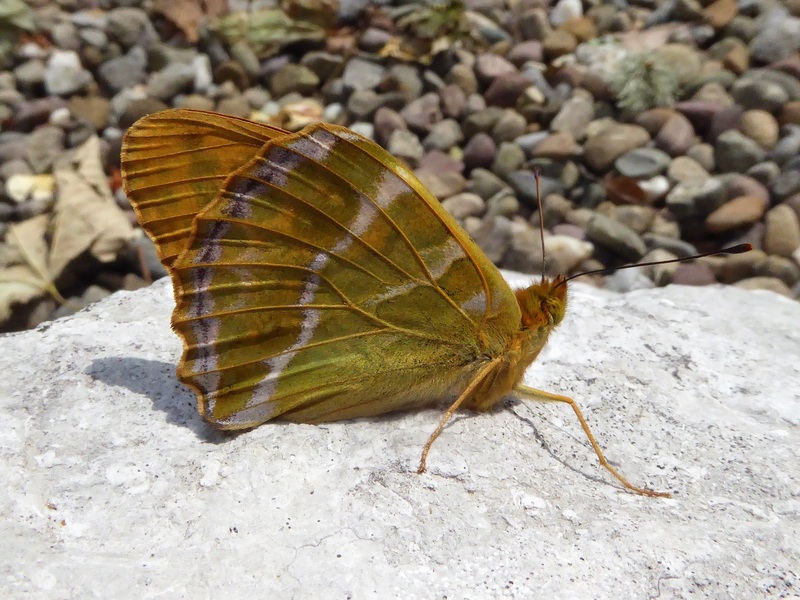 One very important butterfly flying now and during September is the Wall Brown, a butterfly that has seen a marked decline in distribution and range in Ireland since the mid-1980’s. Before the mid-1980’s it was found throughout Ireland in the general countryside but is now mainly restricted to the most free-draining, driest, thinly-vegetated areas such as sand and gravel quarries (probably also found in dimension stone and aggregate stone quarries ), sand dunes, dry coastal heaths, rocky areas such as limestone pavement, dry limestone and acid grassland and the driest areas of cutover bogs. It is absent from many areas inland that it occupied in the past, such as along tracks worn to bare earth on farmland, dry hedge banks and lanes and at the edge of country roads edged by stone walls. It is feared extinct in Northern Ireland where it was last recorded at a coastal site in County Down in 2015. 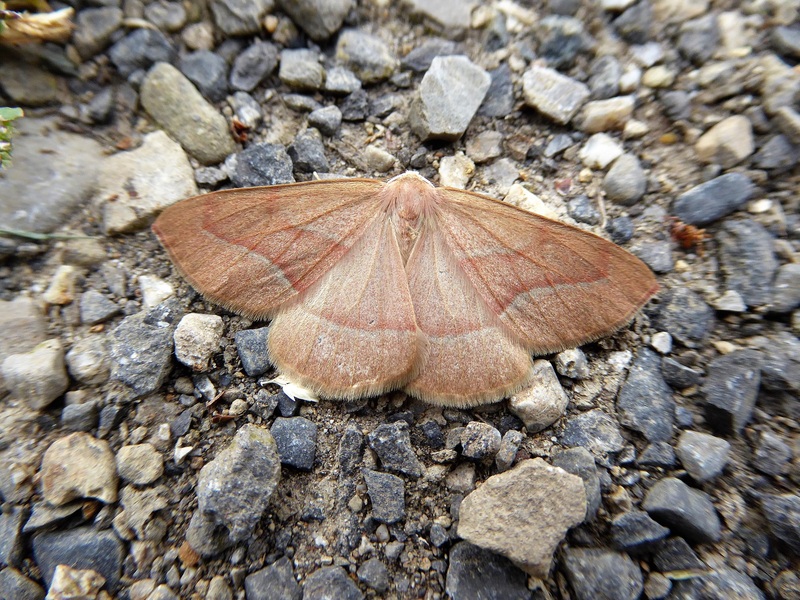 It remains numerous in County Donegal, where, according to excellent recorders, there has been no decline. The Wall Brown may return to the broader countryside as it is a mobile butterfly and can fly great distances when the urge to move exists. 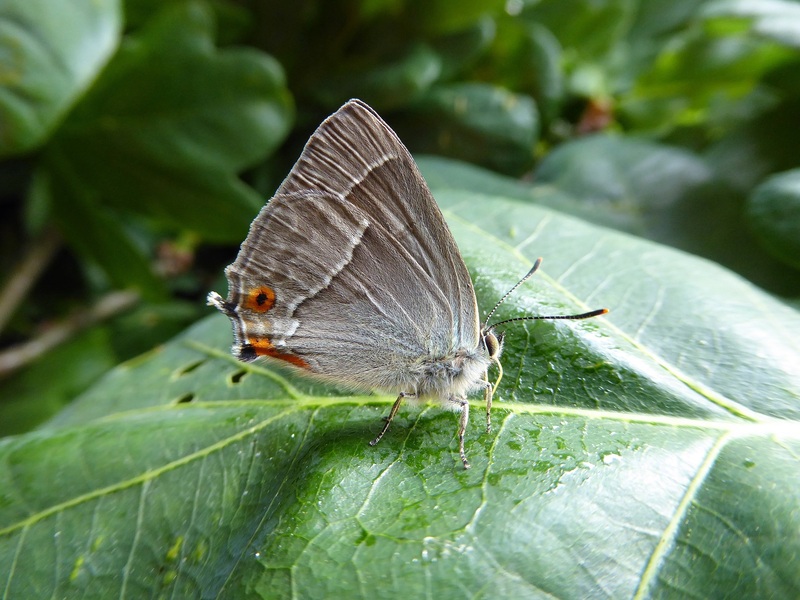 We include two photographs of this lovely butterfly. It is often seen in low numbers but occasionally a dozen or more will be seen concentrated in an area of suitable habitat. It is a sun-loving butterfly. Males are eye-catching. If you see one, he will usually be seen flying low ahead of you, landing periodically to bask against bare surfaces. It holds its wings in a shallow V as it flies. After flying along a track or a stone wall for many metres, it will often turn and fly back, pausing to bask briefly before resuming its patrol. When direct sunlight is dimmed by cloud, the butterfly lands and basks briefly before closing its wings. It is only then that a close approach is usually possible. 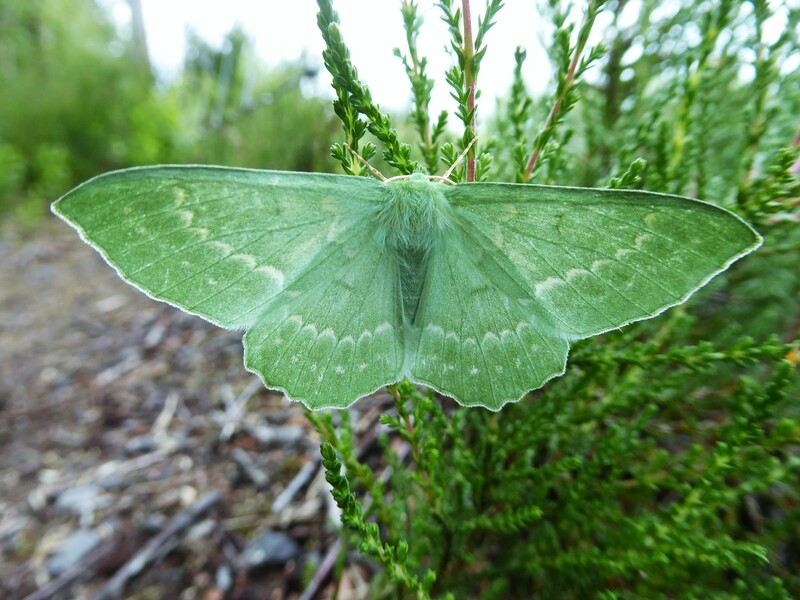 The female looks similar but is paler overall and does not have the dark brown diagonal band across the upper side of the forewing. Note the presence of white-pupils on black eye-spots. 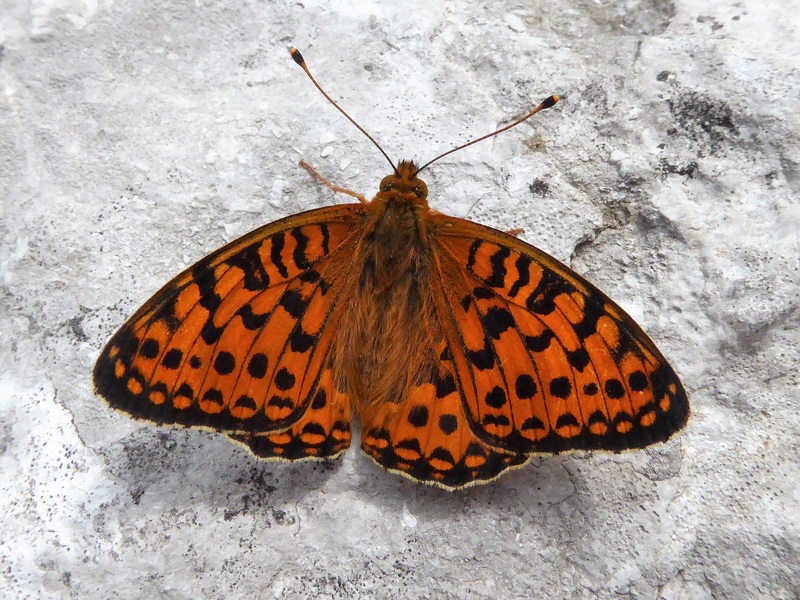 The presence of eye-spots shows its membership of the Satyridae or the “Browns” (regarded by taxonomists as a subfamily of Nymphalidae which includes the fritillaries and vanessids). 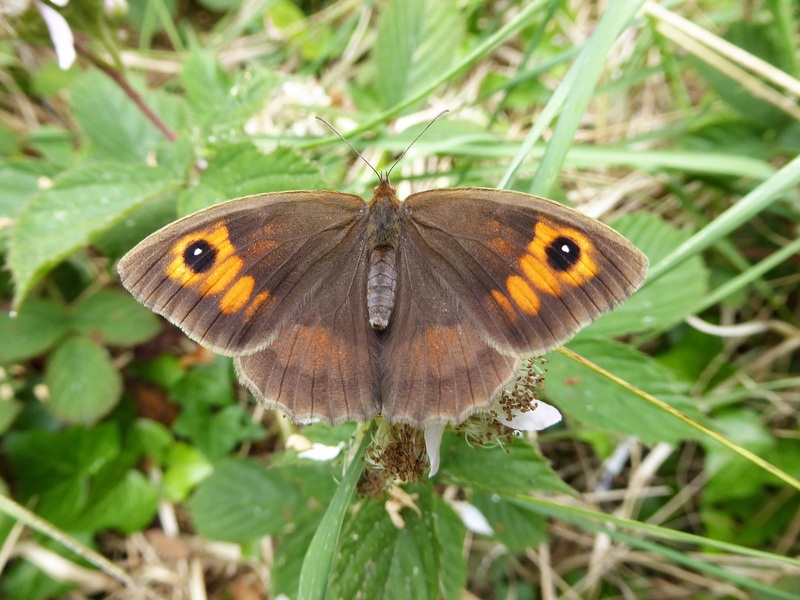 Other members of the subfamily Satyridae include the Meadow Brown and Speckled Wood. 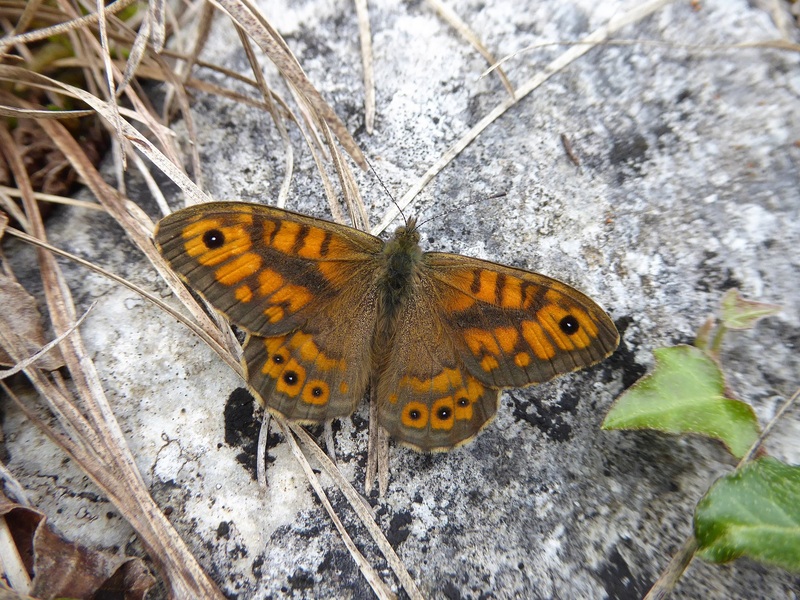 Male Wall Brown basking on limestone at the side of the road at Gortlecka leading to views of Mullaghmore, Burren National Park, County Clare.©J.Harding. 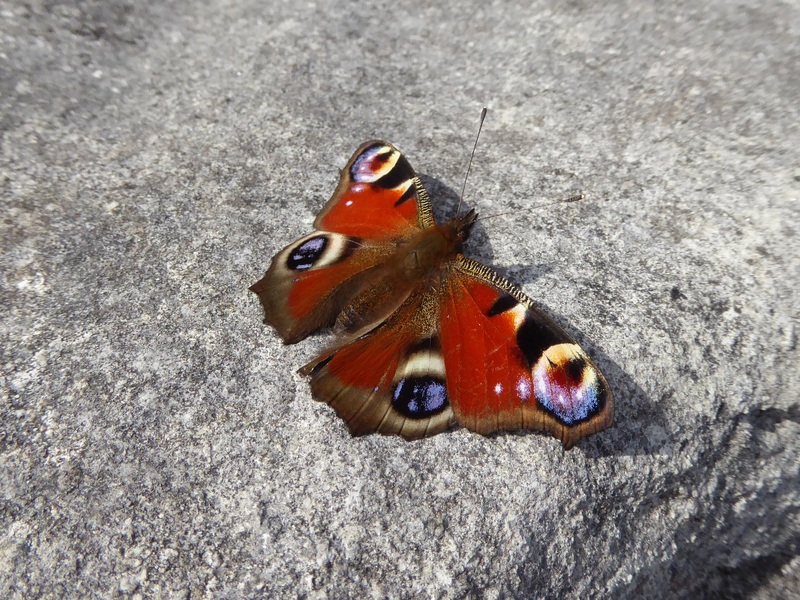 Biodiversity Ireland Issue 17 Spring/Summer 2018 published by the National Biodiversity Centre contains an article by Dr Tomás Murray promoting butterfly recording for the Butterfly Atlas 2021. 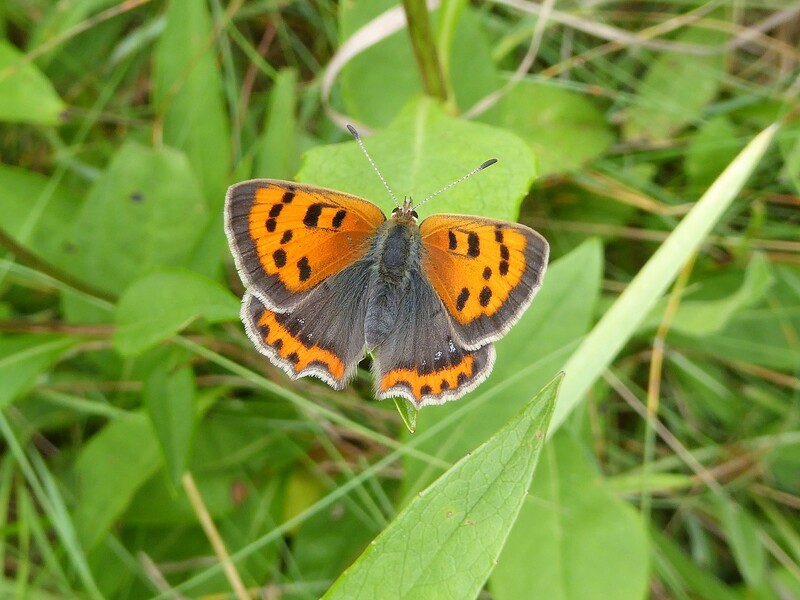 The article contains this bleak statistic of Ireland’s declining butterflies: “Ireland (is) identified as being in the top five countries for declines in both widespread and specialist species, out of 21 countries assessed”. 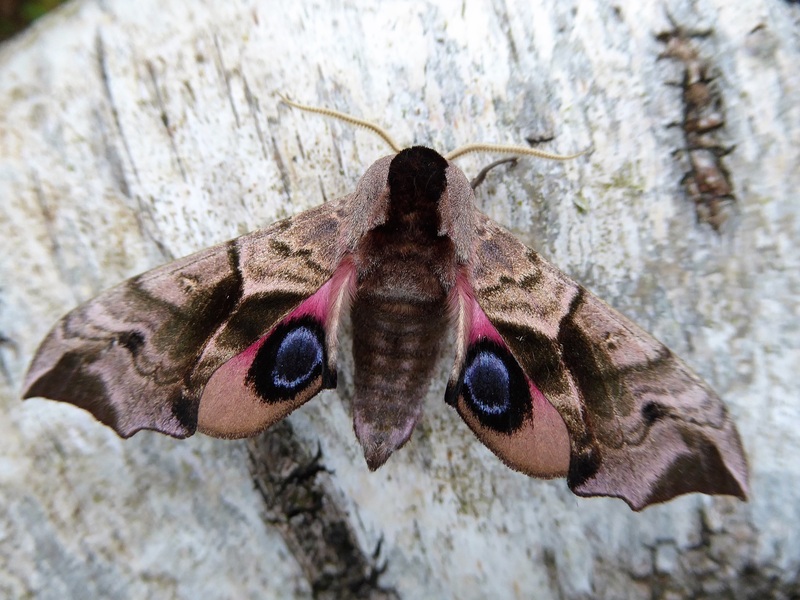 It continues: “For the 15 species where we have sufficient information, our monitoring schemes reveal that seven of those species are in decline compared to three increasing, two stable and three that are too variable to assess”. 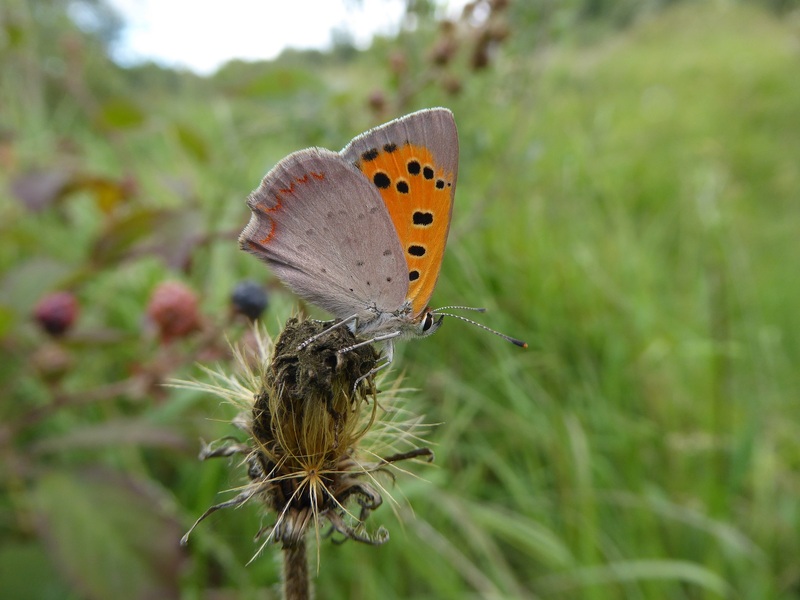 From what I see on sites I visit regularly, and from parts of the countryside I see from time to time, there are changes in butterfly populations. 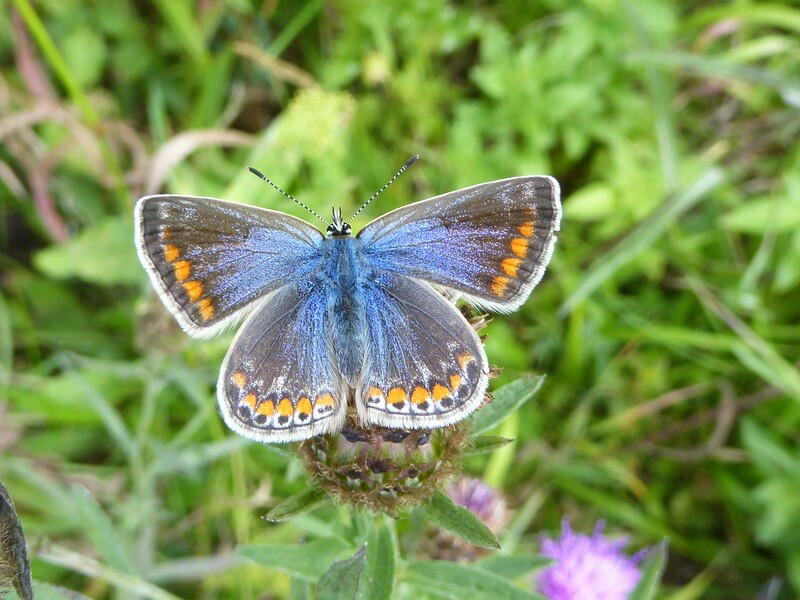 Without even attempting any population monitoring, it is clear that butterfly populations have undergone significant changes. This is evident when observing the changes in land use. 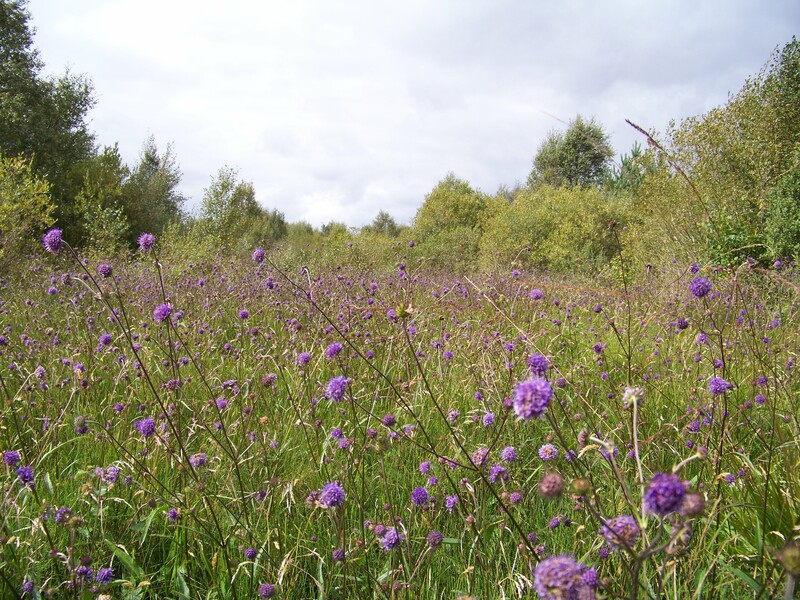 Habitat specialists, in particular, are unlikely to survive for long in areas where their habitats are altered or destroyed by being replaced by golf courses, built on, afforested, drained, mined, cleared, modified by application of chemical fertilisers, ploughed and re-seeded, etc. 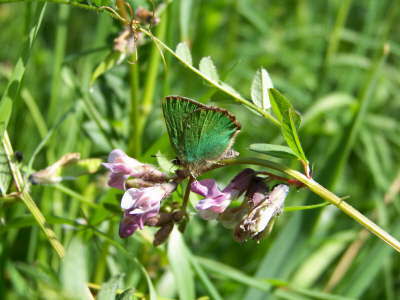 In habitats not directly altered or destroyed, butterflies can be affected by gradual changes, especially by successional changes in vegetation and by changes to adjoining land such as flooding, drainage, tree-felling or tree-planting, planting of invasive plant species (such as cotoneaster) and other alterations. Natural factors such as coastal erosion, severe in some areas, results in changes to habitats and sometimes to the destruction of high-value conservation land. It is easy to be pessimistic for the future of our butterfly populations, especially about our habitat specialists. My recent visit to the area south of Lough Corrib, County Galway engendered much despondency in me. This area, north of the N59 towards Lough Corrib between Moycullen and Oughterard contains a variety of habitats, especially bog, calcareous grassland, limestone pavement, scrub and woodland. A number of important habitat specialists have been recorded from the area. 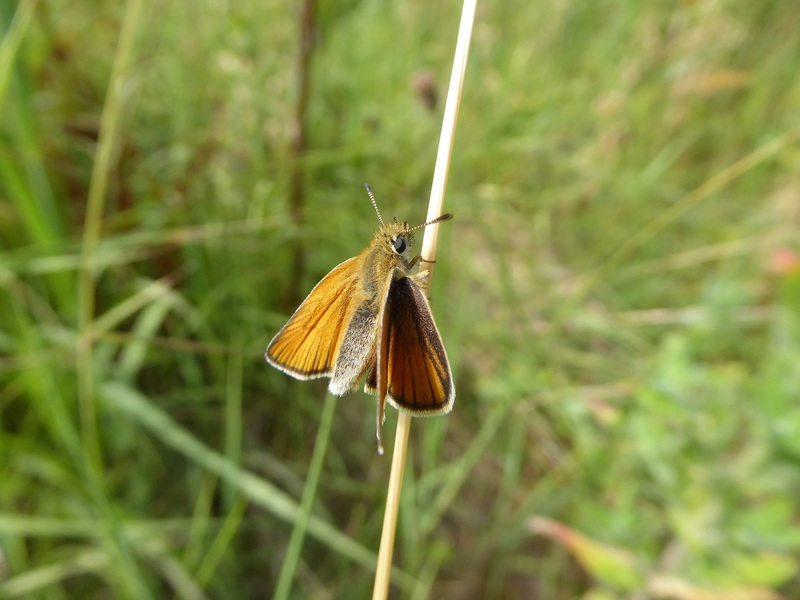 These include the Brimstone, Dingy Skipper, Brown Hairstreak, Small Blue, Pearl-bordered Fritillary (in the 1980’s), Marsh Fritillary and Large Heath. On my visit, I encountered many new, often out-sized individual houses (with boundaries starkly proclaimed by laurel and Leylandii hedging) imposed on what appeared to have once been great habitat. I observed peat being gouged out of the bogs, parts of which have been converted to fairly unproductive agricultural grassland. Rough walls, composed of natural limestone pavement and boulders ripped from rare karst habitats are frequent in the area. It appears that few areas of untouched limestone habitat remain. In one area I examined off the local road from the N59 to Carrowmoreknock, bog grades into limestone grassland, limestone outcrops and scrub habitats. Flowers characteristic of grassy bog and limestone grassland almost have their petals touching. But the limestone pavement that once existed is no more, the limestone slabs torn up to form monumental walling. The area has clearly lost some value. 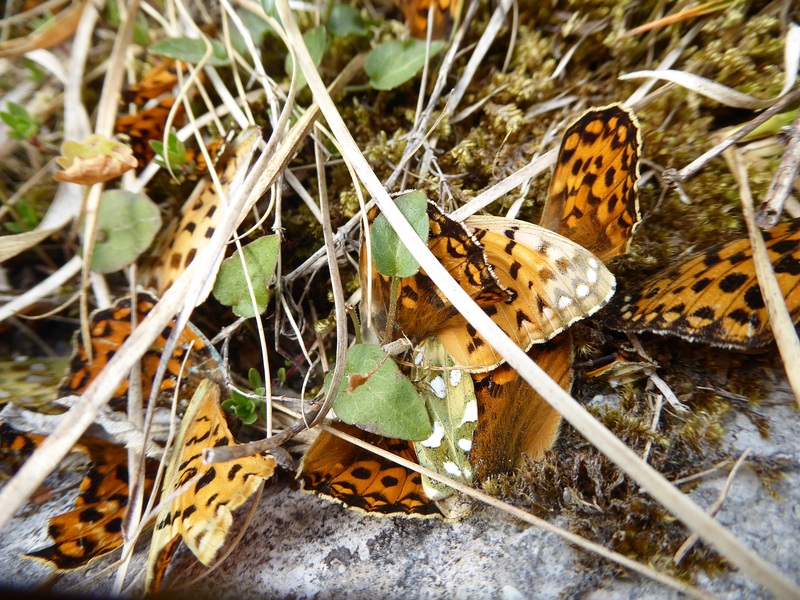 It is likely that Grayling and perhaps even Pearl-bordered Fritillary flew here, but no longer. However, clearing the limestone pavement appears to have rebounded on the farmer, as that area is now buried in dense scrub. Marsh Fritillary breeds on the sward where bog grades into limestone grassland, quite likely assisted by the livestock grazing taking place. When special habitats like these are degraded or destroyed despair deepens, as the count of precious places with their associated butterflies decreases. Once limestone pavement is ripped up, there is no chance of restoration. The habitat is gone. There are species that will not survive when this damage is done. There will be no return. Some habitats of special character are designated as Special Areas of Conservation and therefore legally protected. 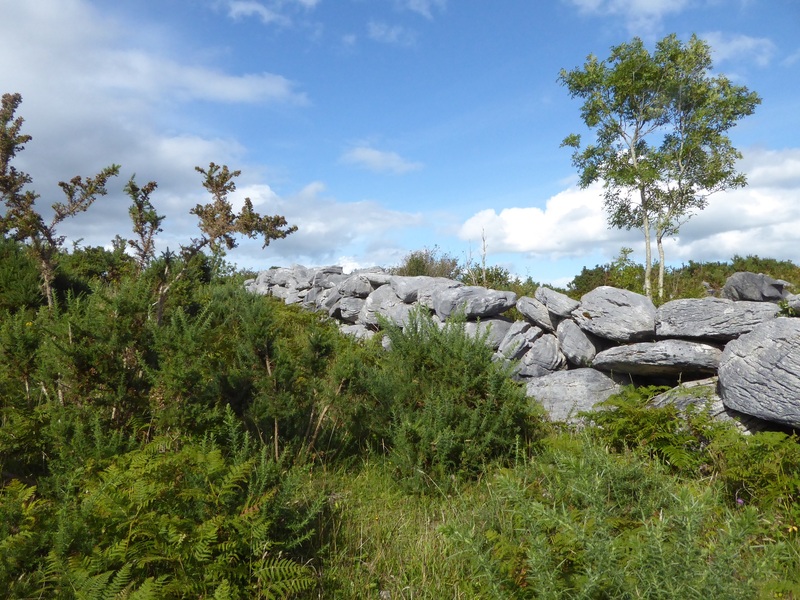 However, the Special Area of Conservation that lies west of Carrowmoreknock, Gortnandarragh Limestone Pavement, has been damaged by quarrying and conversion of part of the area to farmland. Protection clearly needs to be enforced! 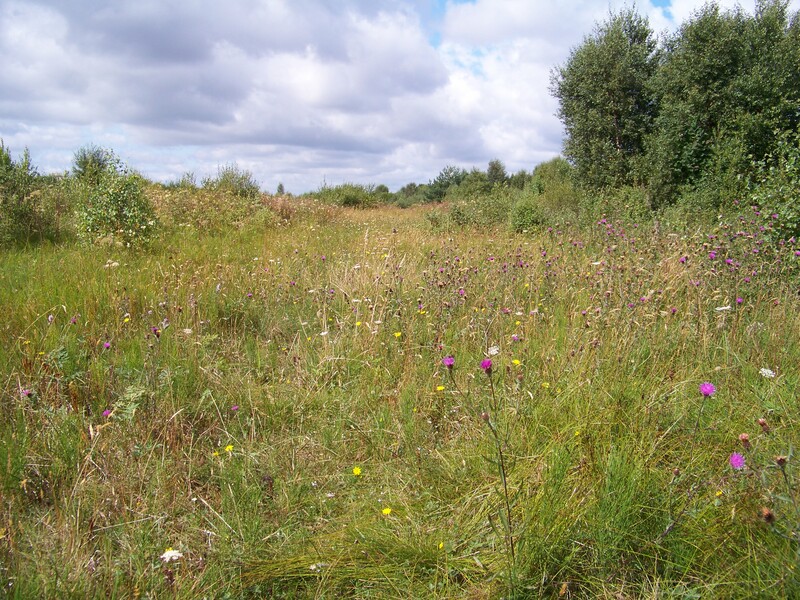 Even when sites are protected they are sometimes unmanaged leading to undesirable successional changes in the vegetation, causing habitats to deteriorate. In the circumstances outlined above, it is easy to see that habitat specialists are likely to be in decline, and why. 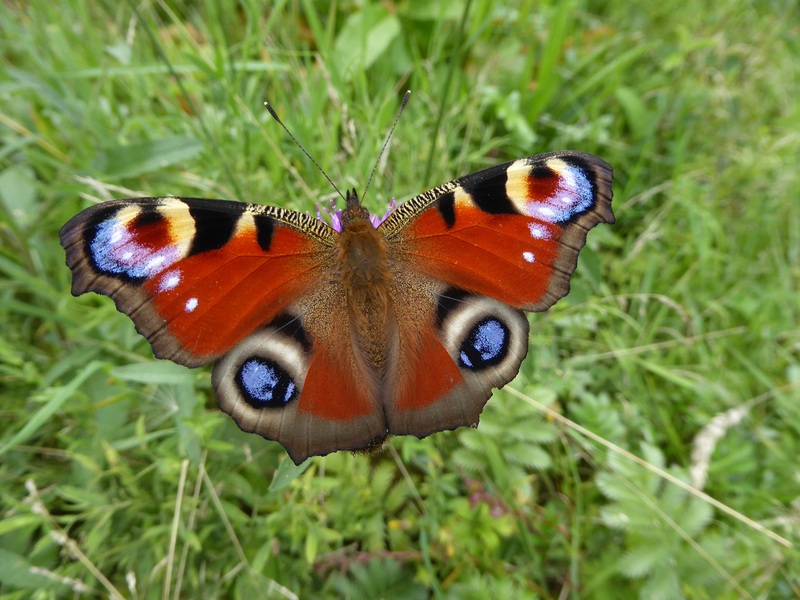 What about the general countryside butterflies, the ones that breed in a broad range of habitats? Even a glance at the general farmed landscape suggests evidence for declines. 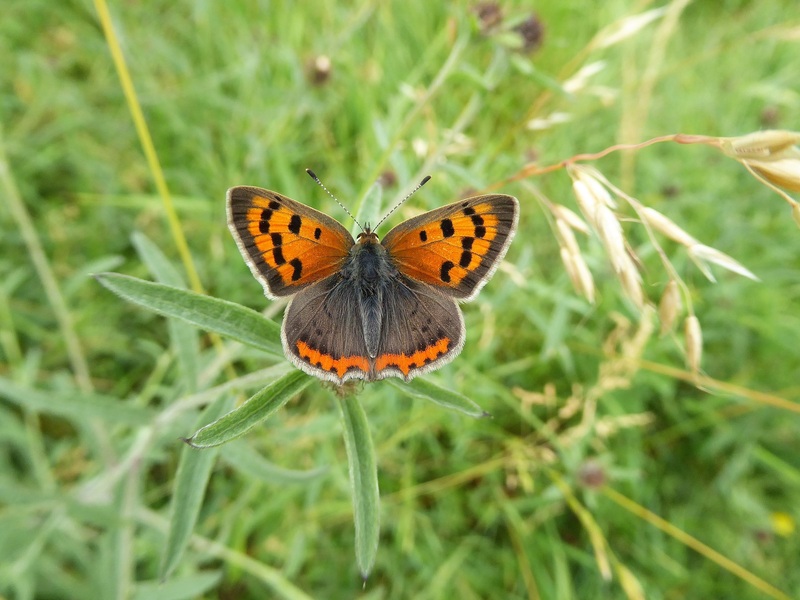 Many semi-natural grasslands formerly very rich in butterflies are ploughed and re-seeded with one or two grass species and heavily fertilised. 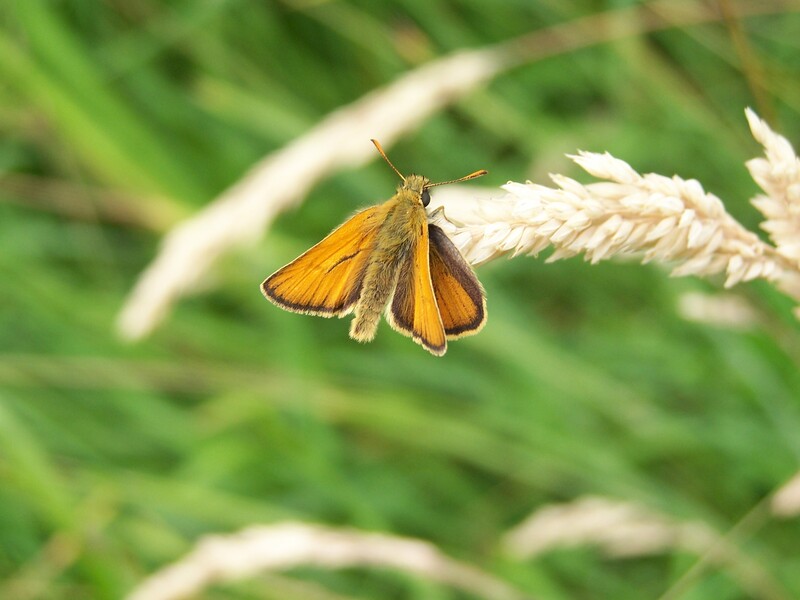 Some remaining semi-natural grasslands are heavily dosed in fertiliser annually, resulting in a habitat that excludes many of the food plants butterflies and moths need. Some semi-natural grassland has been ploughed up and planted with non-native conifers. Hedges and hedge banks are severely cut or even removed. Ponds and wet areas are drained or farming ceases, and formerly good habitats that were well managed by rough cattle grazing deteriorate. 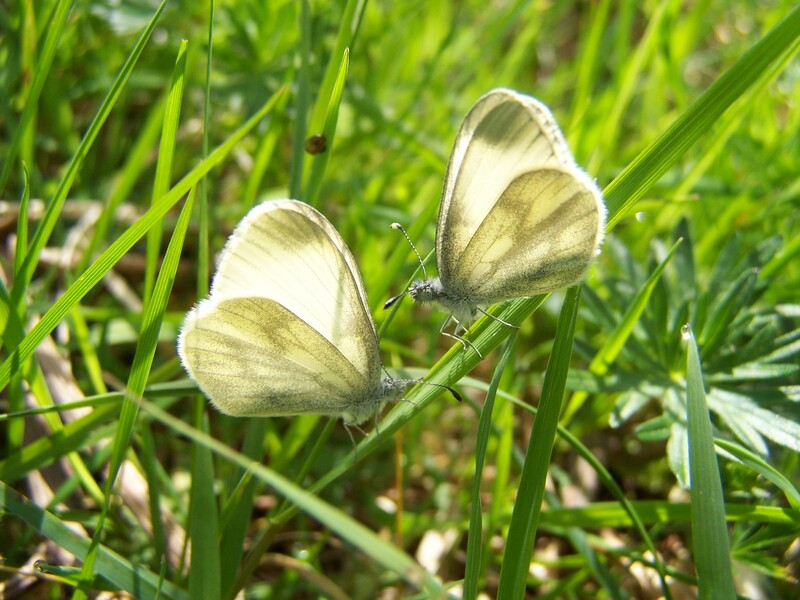 The inappropriate management of our public spaces, such as parks and canal banks where vegetation is cut when butterflies are feeding and breeding are further examples of drivers of decline. 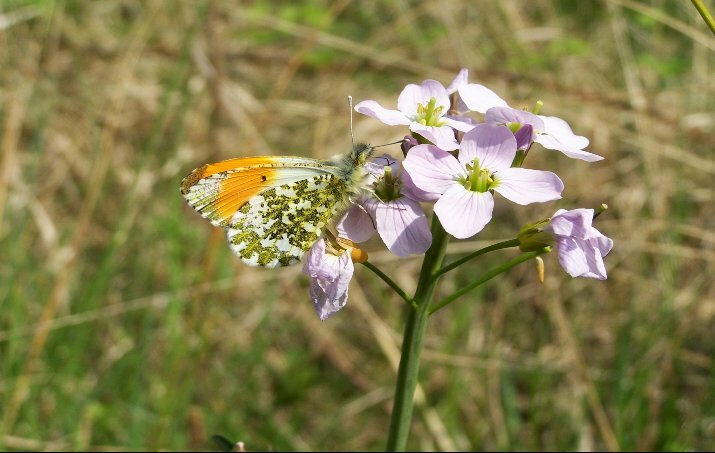 Given these grim circumstances, why are some butterflies doing well? Firstly, let consider the species that are showing increases in population size (abundance) and in distribution (area occupied). 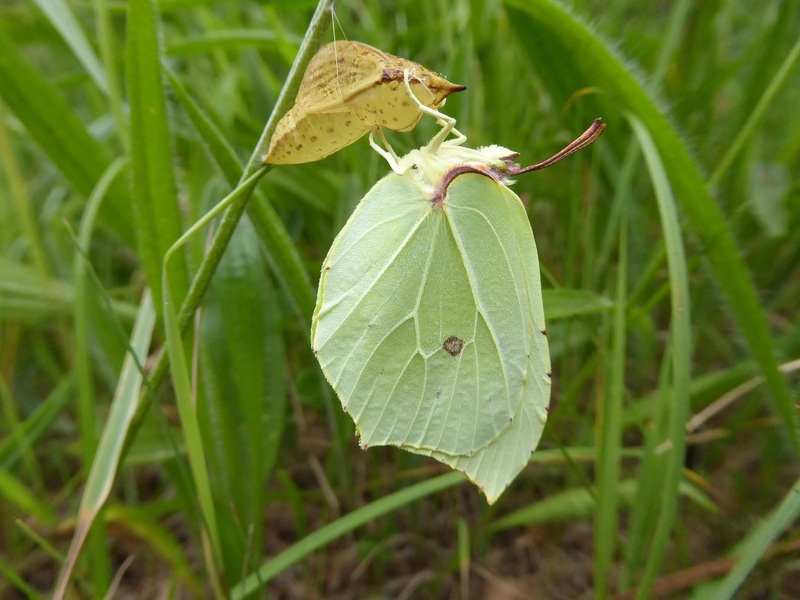 Based on my observations, the resident species that I believe are showing increases in population size and distribution are Cryptic Wood White, Brimstone, Holly Blue, Peacock, Comma and Silver-washed Fritillary. The Speckled Wood is likely to be stable or possibly increasing. While the article quoted above mentions that three species are increasing, I believe that six species are increasing. Interestingly, all of these are found in woodland and woodland edges but other habitats are used by some of these butterflies. Wooded areas are increasing in Ireland. 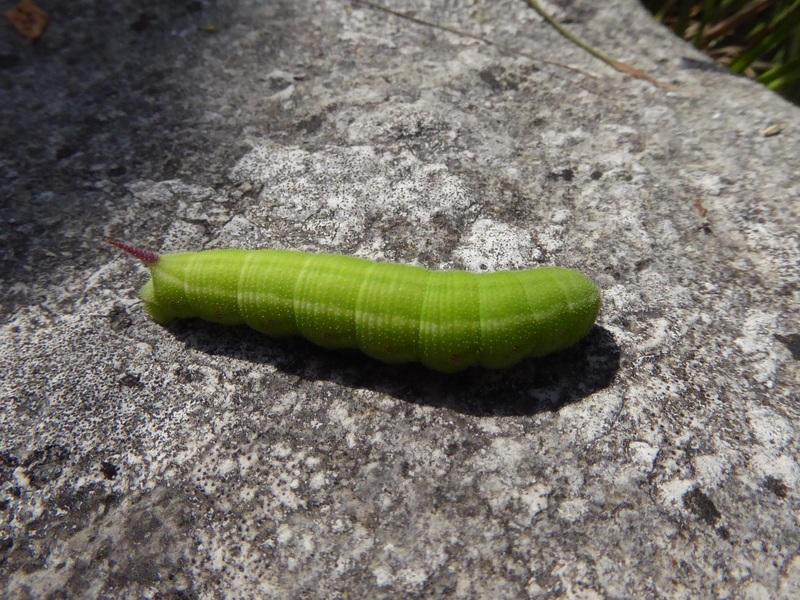 Some are arising from the abandonment of farming, some are planted, some existing woods are spreading and some woodland is new, developing on cutover bogs and on limestone pavement. 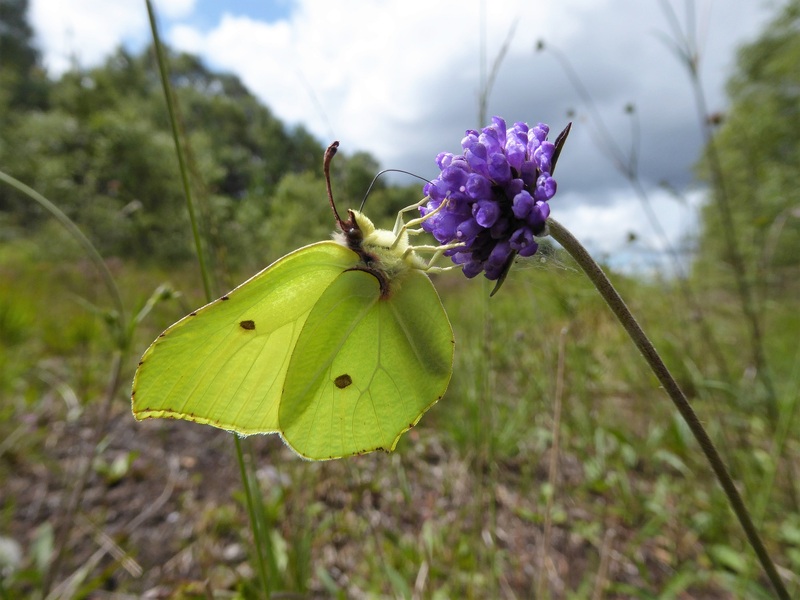 To take each of these butterflies in turn, the Brimstone is benefitting from the development of its larval food plants on cutover bogs. 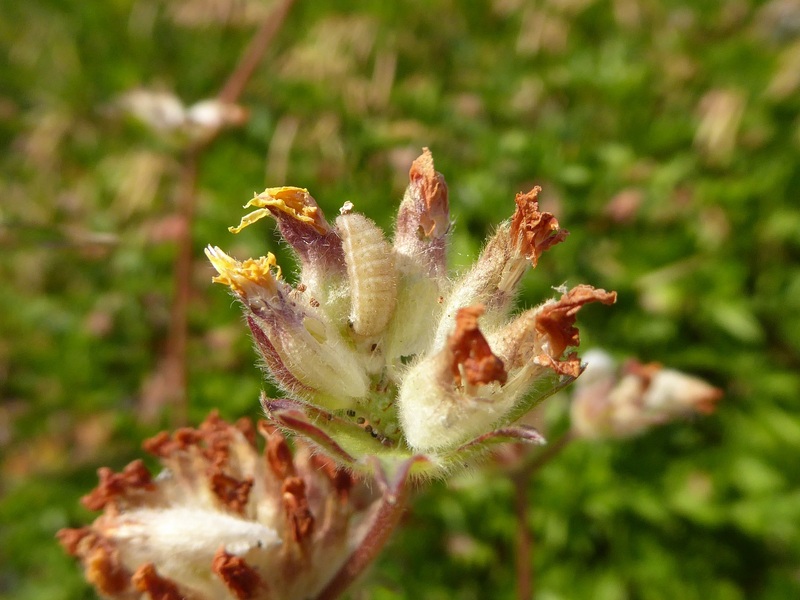 The food plants are developing in areas that used to be wet raised bogs and the spread of the butterfly into these areas suggests a genuine increase in distribution. 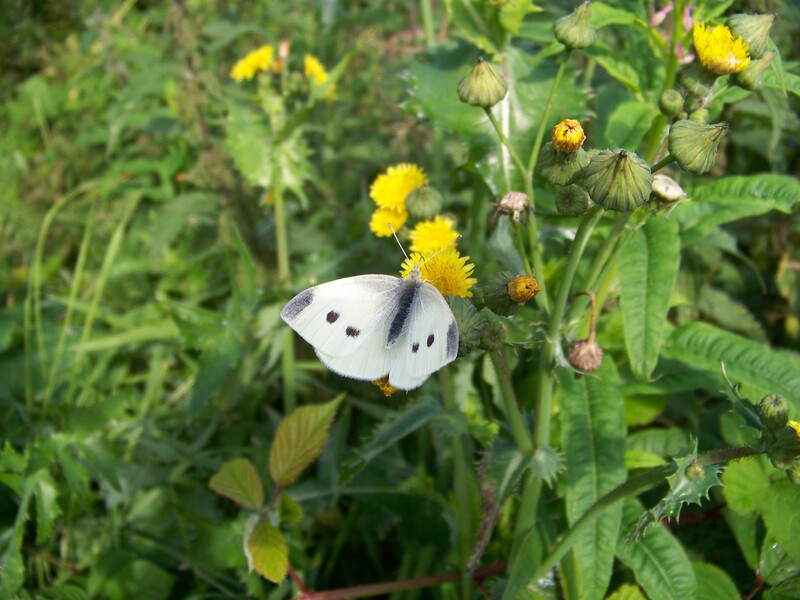 The development of scrub containing the Brimstone’s food plants on eskers, rough hillsides, abandoned quarries and on limestone pavement is also helping the butterfly. 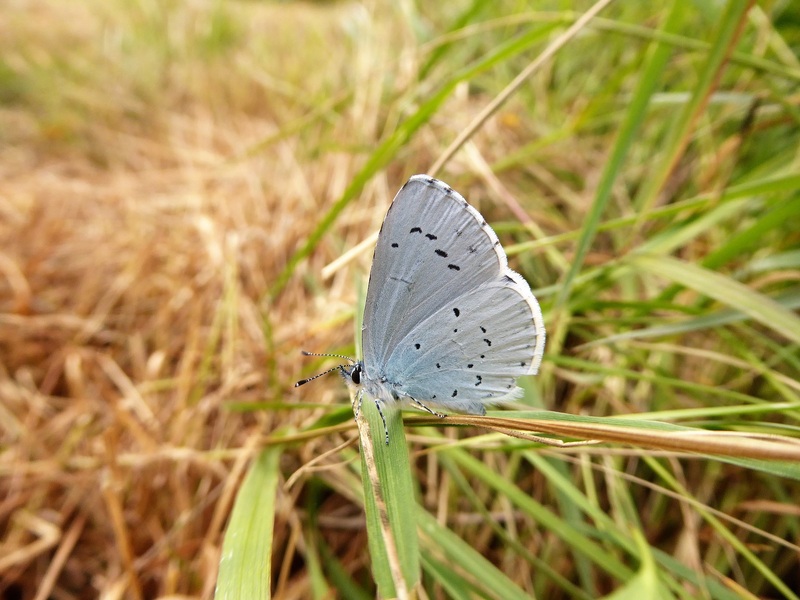 The reasons for the Holly Blue’s increase are harder to assess. 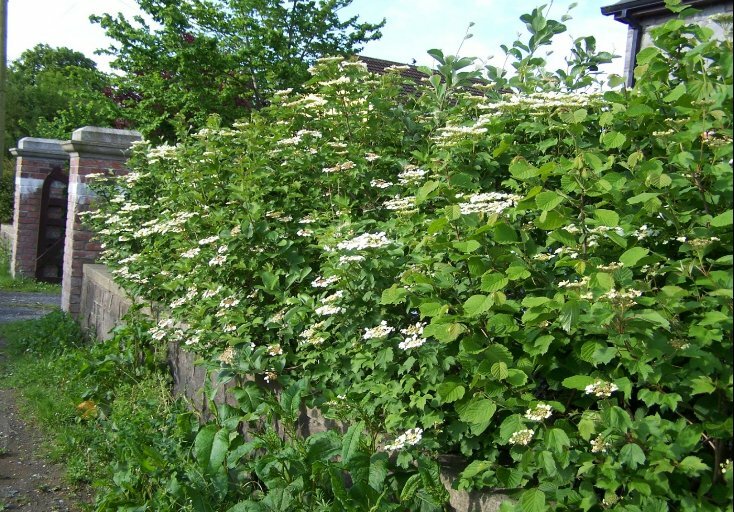 It was, before the 1990’s, largely restricted to old woodland near the coast in Ireland but has spread inland to hedges, wooded lanes and even rural gardens, although it was found in large urban gardens before the period of expansion. The increase in woodland is likely to be a factor but a warming climate is likely to be more significant. In Britain it is very rare or perhaps absent from Scotland and rare in Northern England, reflecting its sensitivity to cooler climates. 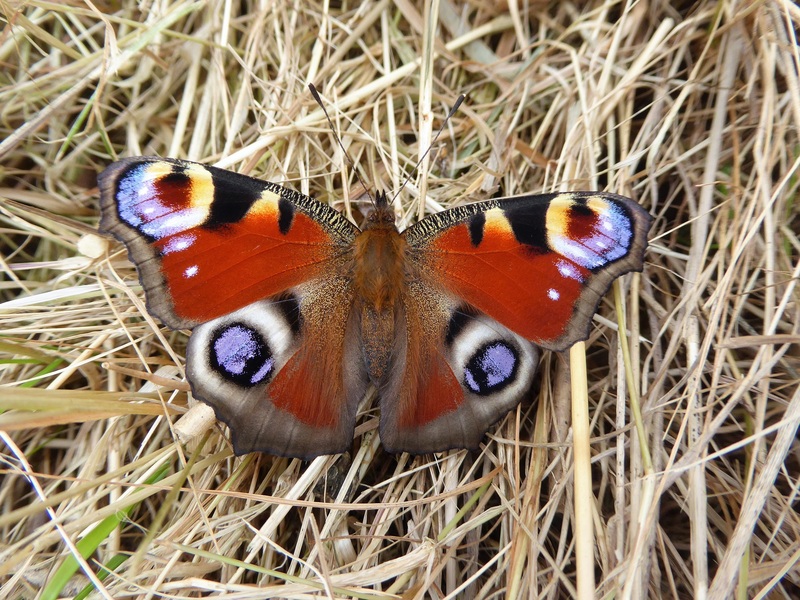 The Peacock has probably benefited from the increase in warmth too, suggested by its increase in a cooler Northern Ireland which has been ongoing since the mid-1990’s. 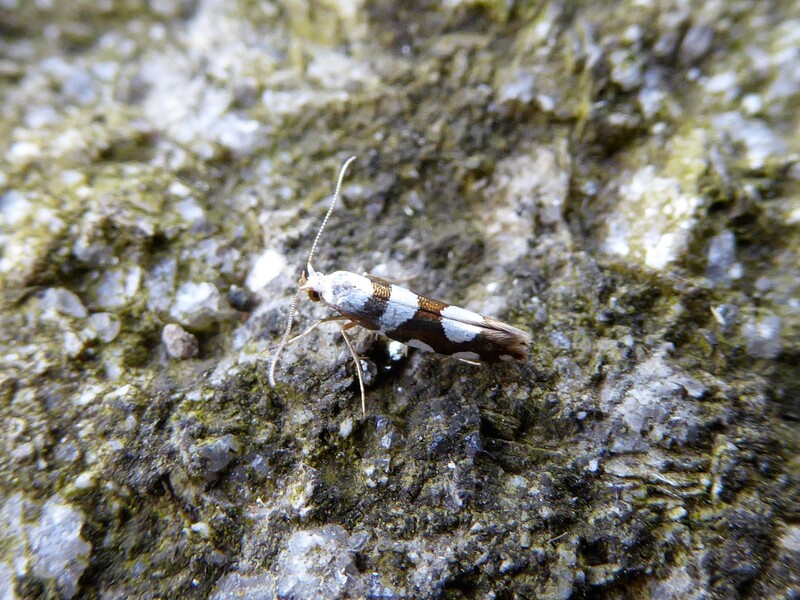 It is still found in smaller numbers there than further south. The increase in nitrate fertiliser usage over the past few decades benefits its larval food plant, the Stinging Nettle, which may be more vigorous, numerous and nutritious as a result. The Comma, a recent and continuing colonist, is likely to be benefiting from the same factors as the Peacock. There may be additional factors behind the Comma’s rise. 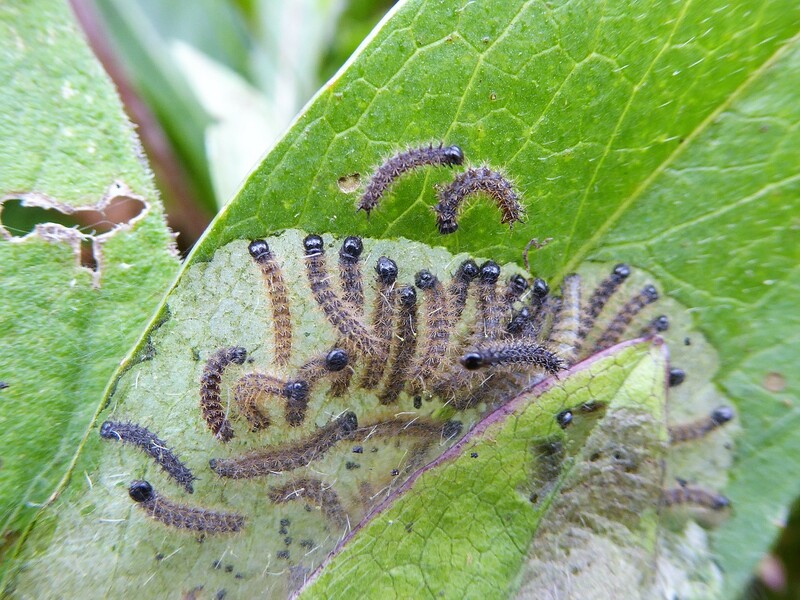 It may have developed a preference for use of the abundant Stinging Nettle as a larval food plant, rather than relying on plants such as Hop, which is rare in Ireland. 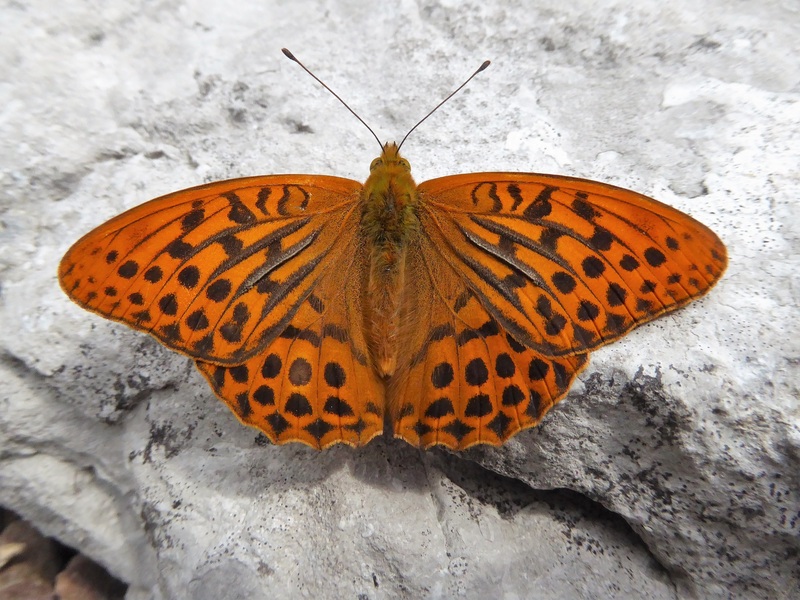 The Silver-washed Fritillary is a woodland butterfly, breeding on violets growing in well-lit woods. When plantation forestry is cut down, the non-crop tree species are frequently left to grow among newly sown sapling trees, ensuring that woods are not clear-felled and that some shade remains. 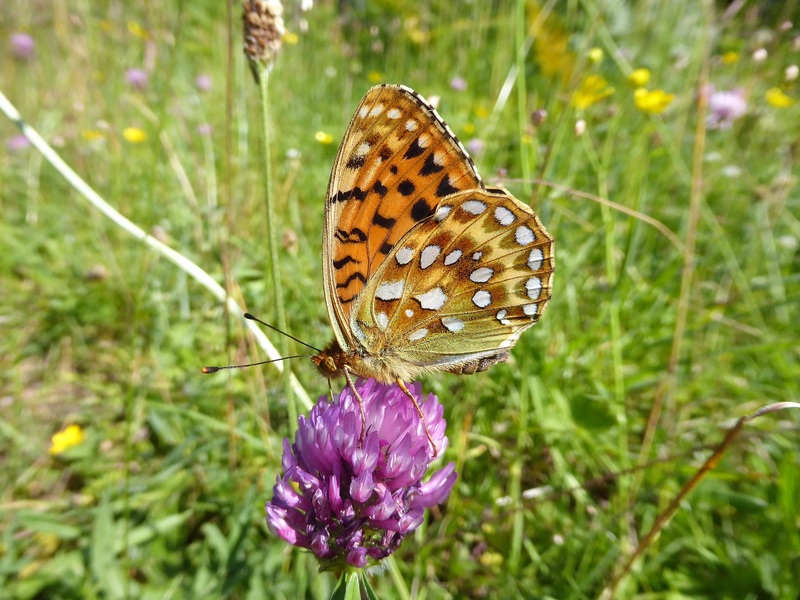 The light admitted after decades of darkness may make some of these areas suitable for the Silver-washed Fritillary especially a few years after re-planting. Edging conifer plantations with native trees may create habitat, even if this is simply a thin belt of woodland adjoining the arboreal slums of mature, modern non-native coniferous plantations. 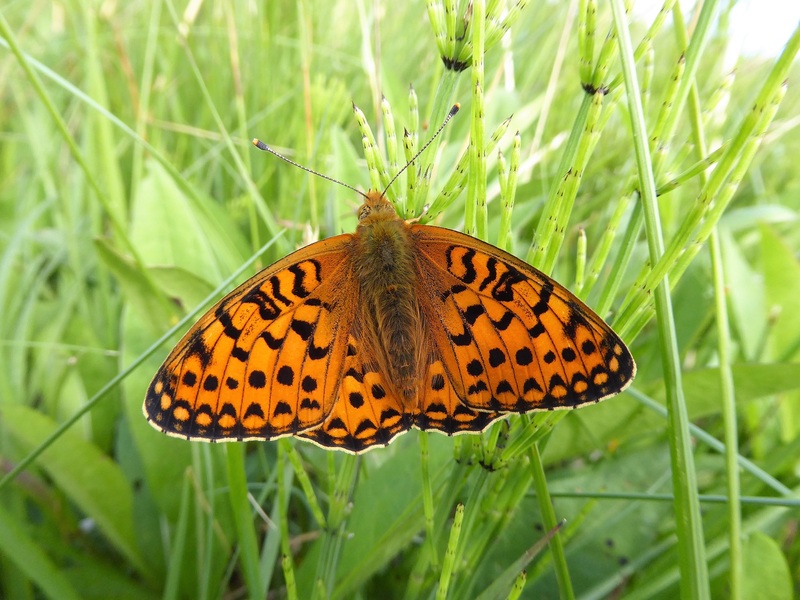 Even when plantations do not have a cosmetic band of native broadleaf trees added, a scattering of willow and birch seed often germinates along the edges, with Silver-washed Fritillary habitat developing over the following two decades. The growth of tall scrub and trees on abandoned farmland creates habitat too. The butterfly is turning up in the new semi-natural woods colonising the cutover bogs and tall scrub on limestone pavement. Some of these areas now boast large and extensive populations. In addition, some conifer plantation woodland planted on bogs develops poorly, with some trees dying after 20-30 years, leaving gaps that open up the ground to light and suitable vegetation. The dark cloud cast by the demise of Large Heath’s wet bog habitat is the Silver-washed Fritillary’s silver lining. 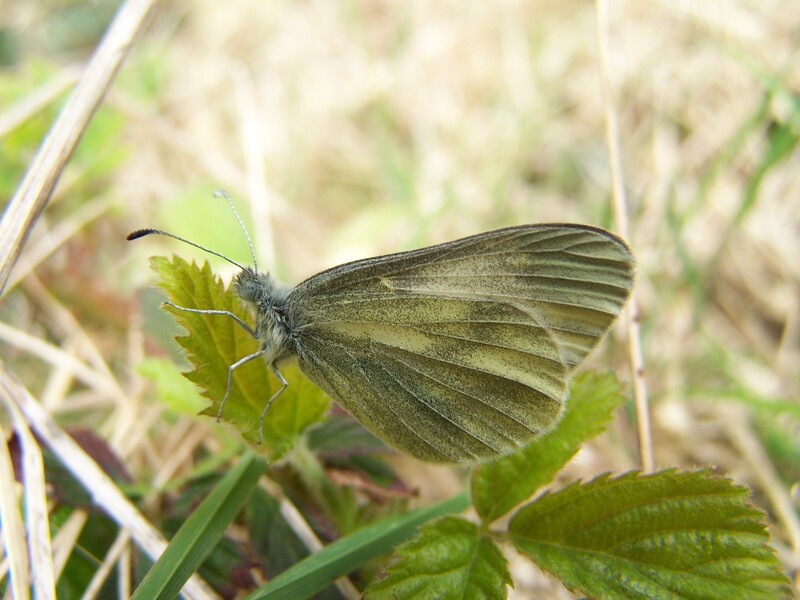 The Cryptic Wood White loves to fly and breed along sunny herb-rich wood edges, so is in its element along the access tracks through woods and along the edges of new wooded areas. The fact that it looks superficially like some other white species may result in it being under-recorded, but I believe it is doing well. It even shows up in my garden! To guess which species are in decline is depressingly easy. I will mention a few here. 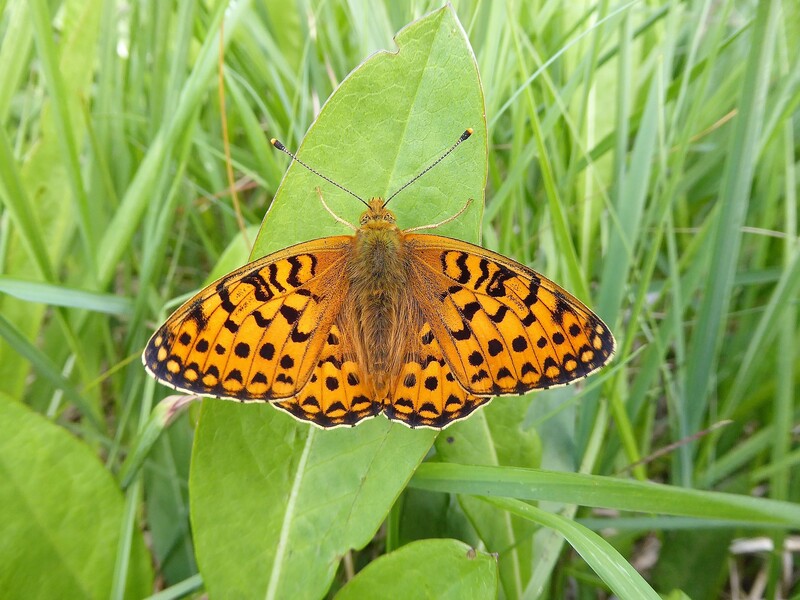 The Dark Green Fritillary cannot be doing well in its main habitats. 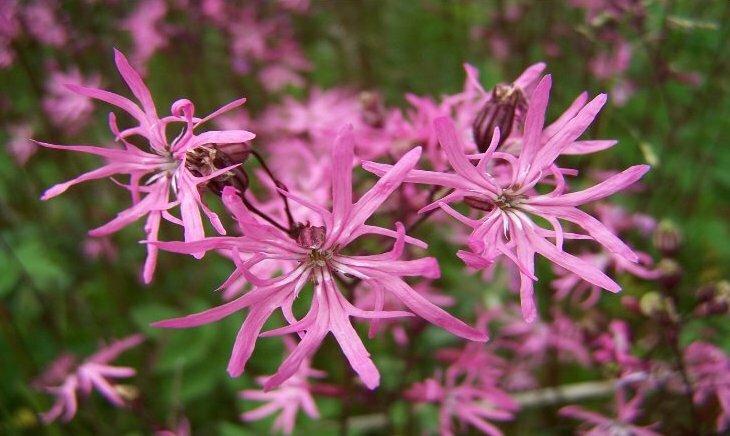 Its preferred habitat, unfertilised flower-rich grassland is quite rare now outside the coasts. 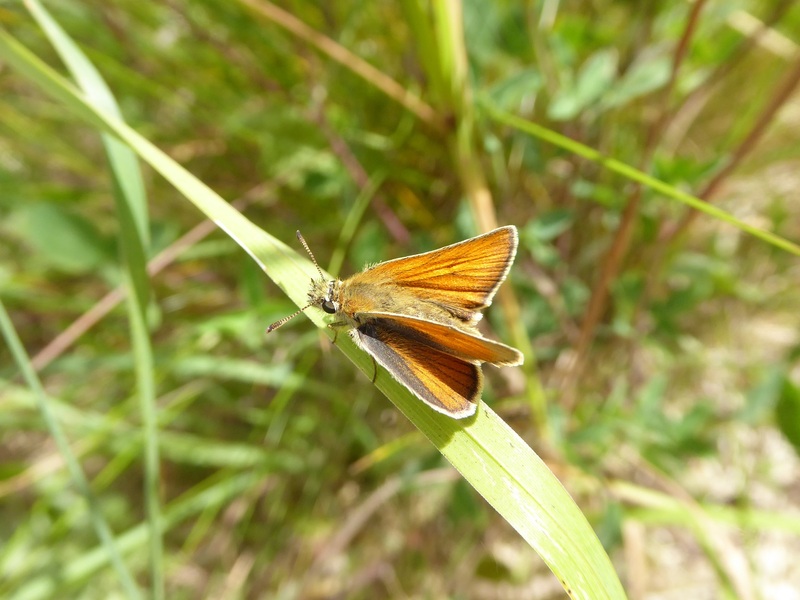 For the same reason, Dingy Skipper, Small Blue, Common Blue, Small Heath, Wall Brown and many other semi-natural grassland dwellers must be in trouble. There are likely to be additional reasons for the fall and fall of the Wall Brown but these are not clearly understood. The other measures you can take concern habitat protection and habitat development. Report any damaging activity you see taking place on any protected site to the National Parks and Wildlife Service. Insist on receiving information on how your concerns are followed up. The full list of Special Areas of Conservation and Special Protection Areas are here: https://www.npws.ie/protected-sites. The data you send us will be used to create the Atlas and to update the Ireland Butterfly Red List, due to be updated in 2020. 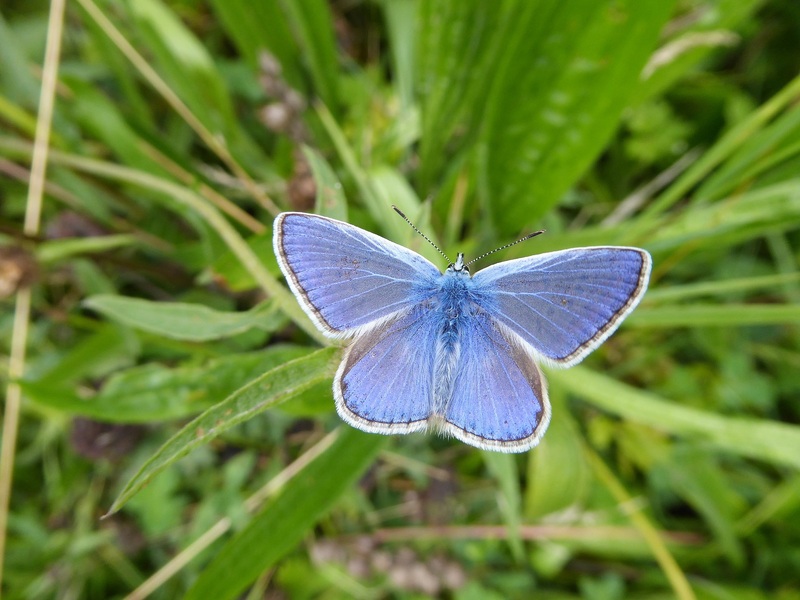 Armed with this data, we will be able to press the state for better protection and management of our landscapes so that there will still be some wildlife-rich areas for you and your children to enjoy and for our butterflies and moths to live in. 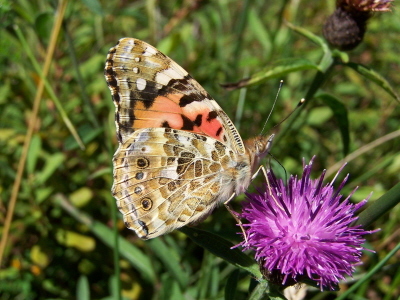 The Peacock butterfly, a widespread general countryside species that is increasing.©J.Harding. 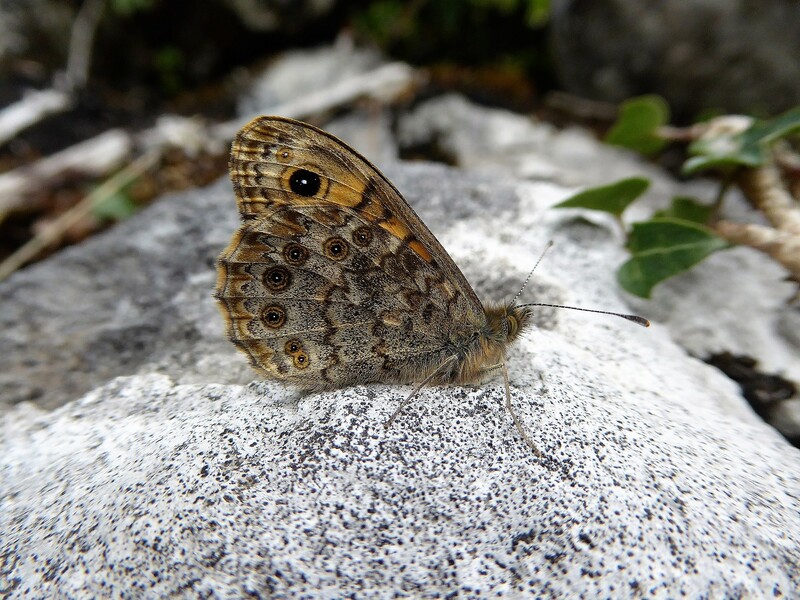 Damage done to limestone pavement destroys special karst habitats and destroys habitat specialist butterflies.©J.Harding.